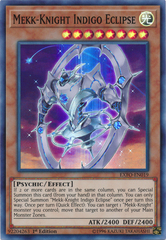 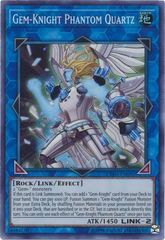 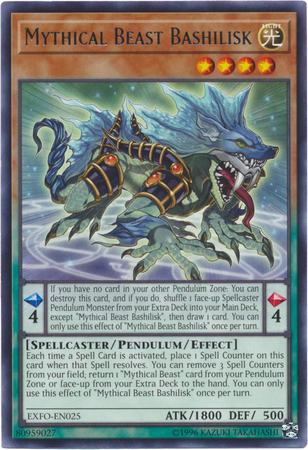 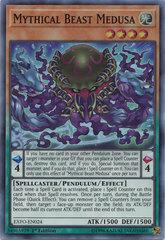 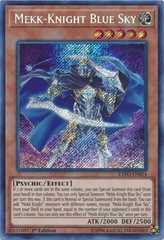 Card Text: Pendulum Effect: If you have no card in your other Pendulum Zone: You can destroy this card, and if you do, shuffle 1 face-up Spellcaster Pendulum Monster from your Extra Deck into your Deck, except "Mythical Beast Bashilisk", then draw 1 card. 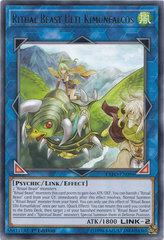 You can only use this effect of "Mythical Beast Bashilisk" once per turn. 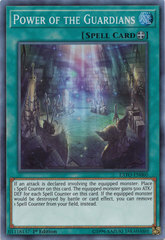 Monster Effect: Each time a Spell Card is activated, place 1 Spell Counter on this card when that Spell resolves. 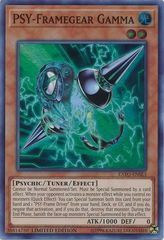 You can remove 3 Spell Counters from your field, return 1 "Mythical Beast" card from your Pendulum Zone or face-up from your Extra Deck to the hand. 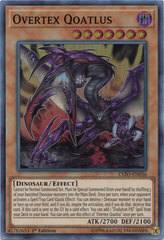 You can only use this effect of "Mythical Beast Bashilisk" once per turn.